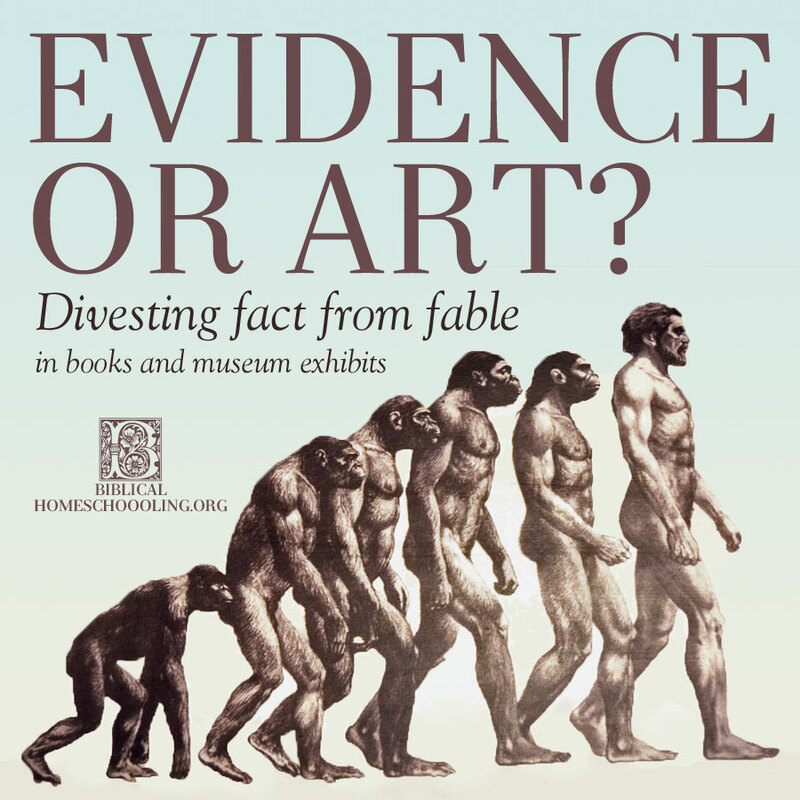 I taught my children growing up, especially reading through books and looking at museum displays: there is a difference between art and evidence. When looking at books from the library or at museum displays, I asked them to point out what was art (such as the commonly seen graphic above), and what was evidence (actual bones or artifacts). Art such as the above is easily fabricated and easily manipulated. But once the evidence has been separated from the art that surrounds it, the evidence then has to be interpreted according to a set of starting presuppositions. Both evolutionists and creationists interpret evidence according to starting presuppositions – but creationists are honest and upfront about theirs. “Textbooks around the world contain the well-known illustration of walking apes transitioning into a modern human. I recently heard a college student, raised in a Christian home, say these pictures convinced her of evolution.” – Chinese femur refutes human evolution by Brian Thomas, M.S.